Prestige Institute of Management was set up in the year 1997 by Prestige Education Society and is placed in A++ category among Management Institutions by Business India. The Institute has approval of All India Council for Technical Education & the State Government and is affiliated to Jiwaji University, Gwalior & Rajiv Gandhi Prodhyogiki Vishwa Vidyalaya, Bhopal. The Institute offers MBA, MCA, BBA, BCA, and B.Com programmes. It aims to provide quality education by innovating and continuously improving upon the disciplines of Management and Computer Applications through advanced methods of training, meaningful research and intimate relations with industry, business and other institutions in the country and abroad. Institute accepts valid scores of CMAT entrance exams. Selection will be completely done on the merit basis and will be called for Group Discussion and Personal Interview. The campus is aesthetic, user friendly, spacious, well lit and comfortable. The campus is located at Airport Road, Near Deen Dayal Nagar, Gwalior, a prominent site, 3 kms from Maharajpur Airport, 7 kms from Railway Station and 7 kms. from Main Bus Stand. 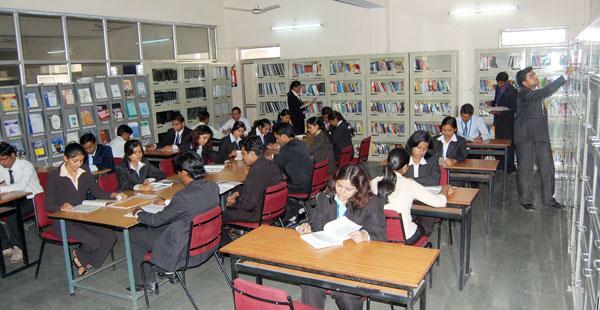 Institute provides facilities such as separate hostel for girls and boys, computer lab with latest equipments, spacious library, audio visual section and many more. Placements are provided to the deserving students after completion of the course. Institute provides continuous guidance and hands on exposure of the corporate world to the students throughout their academic curriculum so that they get ready both mentally and physically to take on the challenges that may come their way once placed in any organization. The highest package offered so far is Rs. 8.0 Lakh per annum, while the average is Rs. 3.5 Lakh across the campus. Are you Interested in Prestige Institute of Management Gwalior.